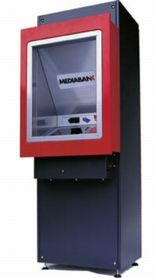 Mediabank - Build your business with Mediabank machines! The Selector is a reference and booking facility. 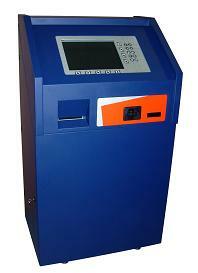 It is available in two models: the selector for internal access and one for external access. It is possible to connect one or more selector devices to any dispensers. The selector has no robotized store inside: the user reserves the items through the selector and then withdraws them from networked distributors. The selector has an important function: it eliminates queues when there are a lot of people at rush hour.